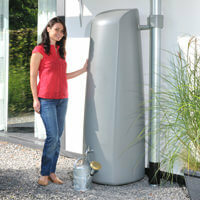 Rainwater tanks from GRAF - more than 70 shapes, colours and sizes! 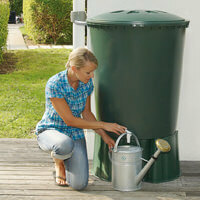 GRAF rainwater tanks are designed for a long life. 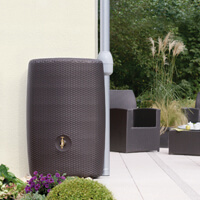 Special materials ensure a long-lasting attractive appearance. 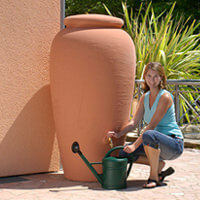 The tank material is 100 % recyclable and is therefore good for the environment. 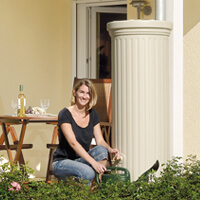 GRAF rainwater tanks are supplied together with suitable assembly accessories. Many can even be planted up! 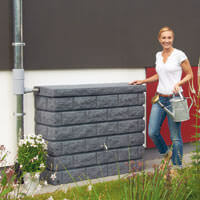 Put your trust in GRAF premium quality for rainwater harvesting. There’s a stylish tank to suit all tastes: Choose your tank from over 70 sizes, shapes and colours! 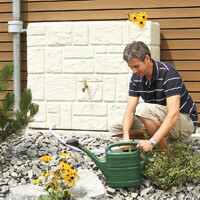 This video shows how easy it is to install an above-ground tank.